Two emails prompted me to dig around commercial property lists today for buried treasures. One was from Karl and Natalie, they of the mammoth church restoration project previously featured on WOW, and the other from a work colleague who is about to put the family's house on the market in order to buy a factory. Karl wrote of the church above: "An interesting property near me, it catches my eye every time I drive past. If I had the money I would add it to my collection!" 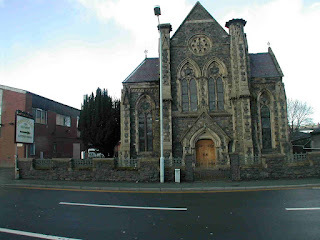 The Bethel Chapel, on Welshpool Road, Newtown, is up for sale at a recently reduced price of £200k. There's limited information here (scroll down the page). 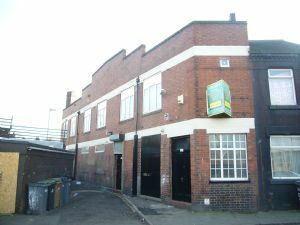 The second floor is a three-bedroom, open-plan flat; the ground floor is 1700sqft of workshop area, plus 600sqft of basement for a nifty under £80k. I'd tell you where it is but she'd never speak to me again if one of you lot stepped in and bought it! So instead, how about this majestic 1920s former waterworks in Lancaster with .76acre at offers c£250k? Or this dinky water tower in countryside near Harrogate, up for auction with a guide price of £7-£10k, or this sweet former Baptist church (pdf) in Crowle village, near Scunthorpe, reduced to £50k? Happy now?